Vyshnevsky, Ahapyt [Вишневський, Агапит; Vyšnevs’kyj (Антоній; Antonii)], b 16 July 1867 in Volhynia, d 1924 in Katerynoslav. Ukrainian bishop of the Russian Orthodox church. A graduate of the Kyiv Theological Academy (1896), he served as bishop of Uman (from 1902), Chyhyryn (from 1908), and Katerynoslav (from 1911). 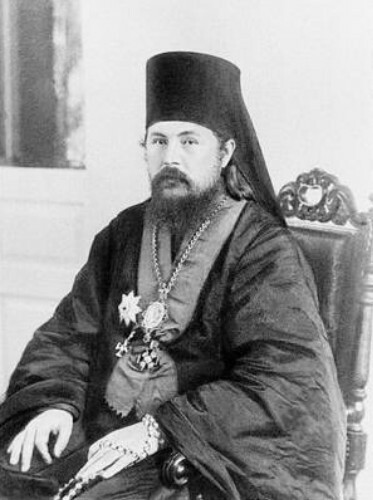 After the Rev9olution of 1917 he supported the movement for the autocephaly of the Ukrainian church (ie, the creation of the Ukrainian Autocephalous Orthodox church) and the Ukrainianization of his eparchy. He also took part in meetings with the government of the Ukrainian National Republic and Symon Petliura, which participation led a Russian ecclesiastical court to relieve him of his duties and force his retirement. He was arrested by the Soviet authorities in 1922 and died in incarceration.